I was never really a perfume person until last year when I recieved a few for my birthday and Christmas and since then I've become obsessed with all things fragrance! 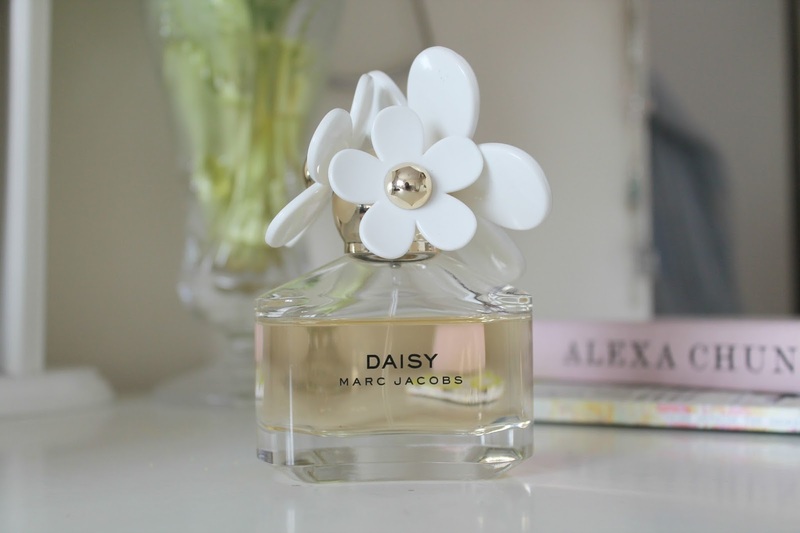 I don't think I've ever mentioned perfumes on my blog before but when I was planning some Spring inspired posts, Marc Jacobs 'Daisy' came to mind as the ultimate Spring fragrance. It's possibly the most instagramable perfume bottle ever (and lets be honest who doesn't love a pretty instagram post!?) as well as smelling absolutely incredible! The scent is described as having violet heart notes and wild strawberry top notes and is overall just a very pretty fragrance.